Inconvenient History, A Quarterly Journal for Free Historical Inquiry, is the principal Revisionist Journal today. All of the journal’s articles are published free online. Smith’s Report, Serving the Revisionist Community since 1990. Published by the Committee for Open Debate on the Holocaust. Bradley R. Smith, Founder. The Journal of Historical Review, hundreds of articles, reviews and essays from 1980 to 2002, published by the Institute for Historical Review. No longer active. The Barnes Review continuing the revisionist tradition of Harry Elmer Barnes started following the First World War. Michael Hoffman Photo of Zundel when he emerged From Mannheim Prison SR.
Jason Smathers, Editor in Chief, Badger Herald, on Bradley Smith Holo-ad. Carlo Mattogno Elie Wiesel: “The Most Authoritative Living Witness” of The Shoah? Chip smith Persecution: an update on the [British] "Heretical Two"
Paul Grubach review The “Final Solution”: Extermination or Ethnic Cleansing? Bradley smith THE LIPSTADT QUESTION Will They, or Won’t They? Thomas Kues What Remains to Be Researched? Greg Alan The Nazi Persecution of the Gypsies: a Major Change in the Nuremberg Myth? Arthur Butz The Bad Arolsen "International Tracing Service” Will it Reopen? Ted O’Keefe Is the Genocide Racket Starting to Unravel? Auschwitz four million Mattogno Carlo R, 2003, 4 The 4 million Figure for Au. Robert Faurisson. "Open Season on Revisionists," JHR, 2002, 1. Don Heddesheimer. "'War journalism of Boris Polevoy" JHR, 2002, 1. Theodore J. O'Keefe. "The War Years of Simon Wiesenthal," JHR, 2002, 1. Samuel Crowell review: R. Jan van Pelt. The Case for Auschwitz. JHR, 2002, 1. John Weir. "The Razor and the Ring, (Koherr telegram)" JHR, 2002,1,p. 7. "Le Pen's Notorious 'Detail' Remark About WWII," JHR, 2002,2 p. 2. "[U.S.] State Department Acknowledges Pressure on Lebanon to Cancel Revisionist Meeting," JHR, 2002, 2. Alexander Cockburn. "Myths About Britain's 'Finest Hour'," JHR, 2002, 2. Robert Faurisson. "My Revisionist Method," JHR, 2002,2. Jürgen Graf. "Unfounded Assertion [Letter]," JHR, 2002, 2. S. Verbeke. "Crackdown Against VHO in Belgium [Letter]," JHR, 21 no. 2 ( 2002), p. 40. Joe Sobran. "For Fear of the Jews," JHR, 2002, 3. Phillip Tourney. "Israel's 'Knife in the Back' Attack Against America," JHR, 2002,3. James Ennes. "Israeli Attack on the Liberty Was No Accident," JHR, 2002, 34. Mark Weber. "New 'Official' Changes in the Auschwitz Story," JHR, 2002,3. David Irving. "So, Who Was Right, Then?," JHR, 2002, 3. R.J. Evans History, Holocaust, & the Irving Trial, review JHR, 2001,1. Robert Faurisson. "The Shoah: Fictive Images and Mere Belief?," JHR, 2001, 1. N. Finkelstein. The Holocaust Industry, Exploitation of Jewish Suffering, review JHR, 2001,1. Peter Novick. The Holocaust in American Life, review JHR, 2001, 1. Peter Novick. The Holocaust in American Life. review JHR, 2001,1. M. Paine. "At the [Simon Wiesenthal] Tolerance Museum," JHR, 2001,1 . C. Provan. "New Light on Miklos Nyiszli & His Auschwitz Book," JHR, 2001,1. John Sack. "Behind An Eye for an Eye," JHR, 2001no. 1. M. Shermer and A. Grobman. Denying History review JHR, 2001,1. Mark Weber. "World Revisionist Conference Banned" JHR, 2001, 1. Jean-Jacques Annaud. Enemy at the Gates [film], Review JHR, 2001,2. A. Codevilla. Between the Alps and a Hard Place: Switzerland & Moral Blackmail Review, JHR, 2001, 2. Samuel Crowell. "The Basement Showers of Crematorium III," JHR, 2001, 2. G. Douglas. The 1948 Interrogation of Heinrich Müller. Review. JHR, 2001, 2. M. J. Neufeld and M. Berenbaum. The Bombing of Auschwitz? Review, JHR, 2001, 2. Germar Rudolf. "Forensic Examinations of Auschwitz," JHR, 2001, 2. R. A. Widmann. "Unregistered inmates of Auschwitz" JHR, 2001, 2. I. Alloush. "Arab Intellectuals and the 'Holocaust'," JHR, 2001, 3. S. Crowell. "Hungarian Jews at Auschwitz and Beyond" JHR, 2001, 3. R. Faurisson. "The [Fredrick] Töben Affair, Seen by Voltaire," JHR, 2001,3. R. Faurisson. "Arab Leaders End Silence on the 'Holocaust' ? "JHR, 2001, 3. J. Graf. "Hungarian Jews at Auschwitz and Beyond" JHR, 2001, 3. S. Crowell. "Air Raid Shelters & Gas Protection, Germany 1939-45" JHR, 2001, 4. David Irving. Churchill's War: Triumph in Adversity (II). Review, JHR, 2001, 4. G. Gorodetsky. Stalin and the German Invasion of Russia,Review JHR 2001, 5/6. Jürgen Graf. The Giant With Feed of Clay. Review JHR, 2001, 5/6. J. Hoffmann. Stalin's War of Extermination, 1941-1945 Review, JHR, 2001,5/6. Theodore J. O'Keefe. "Trieste Meeting," JHR, 2001, 5/6. R. Stinnett. Day of Deceit: FDR & Pearl Harbor, review JHR, 2001, 5/6. Mark Weber. "Wilhelm Höttl and the Elusive 'Six Million'," JHR, 2001, 5/6. P. Weindling. Epidemics and Genocide in Eastern Europe, Review JHR, 2001,5/6. Greg Raven. "Irving-Lipstadt Trial Proceedings," JHR, 2000, 1. Greg Raven. "Media Coverage of Irving-Lipstadt Trial," JHR, 2000. 1. "Jews in American Film and Television," JHR, 2000no. 2. 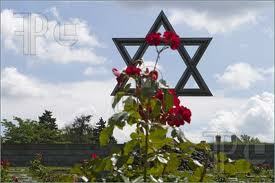 "Switzerland: Prison Term for 'Holocaust Denial' JHR, 2000, 2. Arthur R. Butz. "Irving's Doomed Libel Suit," JHR, 2000, 2. David Irving. "Final Address in the London Libel Trial," JHR, 2000. 2. Mark Weber. "Jews: A Religious Community, a People, or a Race?," JHR, 2000, 2. Mark Weber. "Official Sanctioned Fraud at Dachau," JHR, 2000, 2. "Revisionist Master's Thesis (NZ) Under Fire," JHR, 2000, 3. "Treblinka Ground Radar, No Trace of Mass Graves," JHR,2000,3. Arthur R. Butz. "1944 Deportations of Hungarian Jews," JHR, 2000, 4. Jürgen Graf. "Jews Deported to Auschwitz, Not Registered?" JHR, 2000, 4. Oswald Spengler. "The Great Challange Facing the West," JHR, 2000, 4. M. Weber. "1945 Sinkings of the Cap Arcona and the Thielbek," JHR, 2000, 4. Mark Weber. "The Zündel Hearing in Toronto," JHR, 2000, 5. Adolf Hitler. "'Barbarossa' Proclamation [Document]," JHR, 2000, 6. Mark Weber. "Douglas Reed," JHR, 2000, 6. Robert Faurisson. "Revisionist Publications: Around the World," JHR, 1999,1. Mark Weber. "Belgium and Its Jews During the War," JHR, 1999, 2. Mark Weber. "Free Speech Victory in Spanish 'H-D' Case," JHR, 1999, 2. "Wartime 'Master Race' Photo Deceit," JHR, 1999, 3. Robert Faurisson. "Elie Wiesel: One More Lie," JHR,1999,3. Robert Faurisson. "No Light, No Smoke, No Stench, No Holes," JHR, 1999, 3. Mark Weber. "The Boer War Remembered," JHR, 1999, 3. Mark Weber. "High Frequency Delousing Facilities at Auschwitz," JHR, 1999, 3. "How the Simon Wiesenthal Center Falsifies History," JHR, 1999, 5/6. Robert Faurisson. "The 'Gas Chamber' of Auschwitz I," JHR, 1999, 5/6. S. Trombley, 'Capital punishment industry' & Fred Leuchter, review JHR 1998, 2. A. Charles, "Wilhelm Furtwängler & Music in Third Reich." JHR 1998, 3. Twain, Mark. "The Noble Red Man," JHR, 1998 3. "Swiss Court Punishes Two Revisionists (Graf & Förster)." JHR, 1998, 4. Faurisson, R. "Historian: No Evidence for Gas Chambers." JHR, 1998, 4. Graf, Jürgen. "A Dangerous Guilt Complex." JHR, 1998, 4. Berenbaum, Michael. 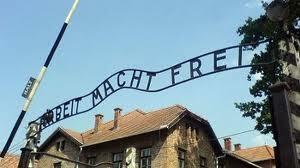 The Holocaust and History. Review, JHR, 1998 5. Marchetti, V. "The Hollywood Lie: Denying that Jews control film" JHR, 1998, 5. Sacher, Howard M. "A new meritocracy." , JHR, 1998, 5. Sindi, A. "Jewish-Zionist grip on American film promotes bias" , JHR, 1998, 5. "The Adelaide Institute conference." , JHR, 1998, 6. "Germans more criminal, less literate, and older." JHR, 1998m, 6. "Germany has paid out more than $61.8 billion in Reparations." , JHR, 1998, 6. "A Jewish appeal to Russia's Jewish elite." JHR, 1998, 6 . "John Birch Society magazine takes aim at Holocaust revisionism." JHR, 1998, 6. "Scholarly French journal strives for 'exactitude'." JHR, 1998, 6. Faurisson, Robert. "'Ah, how sweet it is to be Jewish ...' JHR, 1998, 6. Michaels, Daniel W. "Some reactions to Topol's 'open letter'." JHR, 1998, 6. Topol, Eduard. "'Start to love Russia, Boris Abramovich!'." , JHR, 1998, 6. Weber, Mark. "Spanish court sentences 'thought criminal'" JHR, 1998, 6. Faurisson, R. "How historian [Martin] Gilbert falsifies and invents." 1996, 5. Garaudy, R. Les mythes fondateurs de la politique israelienne" Review 1996 2. Goldhagen, D. Hitler's Willing Executioners.Review 1996, 2. Weber, Mark. "Thies Christophersen." 1996, 3. O'Keefe, T. "'Best Witness': Mermelstein, Auschwitz, & the IHR" JHR, 1994, 1. Pressac, Jean-Claude. The Crematories of Auschwitz. Review JHR, 1994, 1. Vidal, Gore. Screening History. Review JHR, 1994, 1. Warren, Ian B. "Throwing off Germany's imposed history." JHR, 1994, 1. Weber, Mark. "The Jewish role in the Bolshevik revolution." JHR, 1994,1. Wilton, Robert. The Last Days of the Romanovs. Review JHR, 1994, 1. The Canadian Free Speech League. "What is Holocaust denial'?" JHR, 1994, 2. 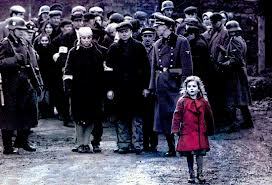 Faurisson, R. "The Warsaw Ghetto 'Uprising:' A Jewish Insurrection or German Police Operation?" JHR, 1994, 2. Degrelle, L. "The enigma of Hitler" JHR, 1994, 3. Pressac, Jean-Claude. The Crematories of Auschwitz. Review JHR, 1994, 4. Weber, Mark "Bradley Smith's 'Campus Project'" , JHR, 1994, 4. Chamberlin, William Henry. "How Franklin Roosevelt lied America into war." JHR, 1994, 6. Collins, D. "Canadian reflections on the Zündel and Irving cases." , JHR, 1993, 1. Hess, Wolf R. "The life and death of my father, Rudolf Hess." JHR, 1993, 1. Irving, David. "Life under fire." , JHR, 1993, 1. Weber, Mark. "California court rejects Mermelstein's appeal" JHR, 1993,1. Weber, Mark. "David Irving: Intrepid battler." , JHR, 1993, 1. Weber, Mark. "The legacy of Rudolf Hess." , JHR, 1993, 1. Weber, Mark. "Official US Holocaust Museum to open" , JHR, 1993, 1. Weber, Mark. "The Sally Hemings myth." , JHR, 1993, 1. Cole, David. "A Jewish revisionist's visit to Auschwitz." JHR, 1993, 2. Irving, David. "The suppressed Eichmann and Goebbels papers." JHR, 1993, 2. Raven, Greg. "[David Cole] video takes aim at key Holocaust claims." JHR, 1993 2. Faurisson, R. "The U.S. Holocaust Memorial Museum: A challenge." JHR, 1993 4. Weber, M. "Croatia's leader denounced as Holocaust revisionist." , JHR, 1993, 4. Granata, Russ. "ADL takes aim at Wartime Vatican role." JHR, 1993, 5. Lilienthal, A. "The Holocaust issue and Middle East policy." JHR, 1993, 5. Martinez, M. "Pope Pius XII during the Second World War." , JHR, 1993, 5. Otten, H. "Christian responsibility, Truth & the Holocaust issue." JHR, 1993, 5. Vezelis, Louis. "'Examine all the evidence' (Three Christian views) JHR,1993, 5. Waldheim, Kurt. "Who reads the Journal? (letter)." JHR, 1993, 5. Weber, Mark. "Legal persecution of revisionists (Europe)." JHR, 1993, 5. Weber, Mark. "Gas chamber door fraud at U.S. Holo-Museum." JHR, 1993, 5. Weber, M. "South African MP under fire for revisionism." JHR, 1993, 5. Brentar, J. "My campaign for justice for John Demjanjuk. "JHR, 1993 6. Lipstadt, Deborah. Denying the Holocaust: The growing assault on truth and memory. Review JHR, 1993 6. Raven, Greg. "Victory for Irving in Australia free speech struggle." JHR, 1993, 6. Schwartz, A. The anti-Semitic propaganda of Holo- 'revisionism'. Review JHR, 1993, 6. Weber, Mark. "Fred Leuchter arrested in Germany." JHR, 1993, 6. Weber, Mark. "Holocaust lies: Bergen-Belsen gassings." , JHR, 1993, 6. Weber, Mark. "IHR activist puts Cole video on local television." JHR, 1993, 6.